Marlene Juli was born in Kununurra and completed her schooling in Warmun at Ngalangangpum School. Marlene has been painting at the Warmun Art Centre since 1999. She was taught to paint by her mother, well-known Warmun artist Mabel Juli, and paints many of the stories and landscapes of her maternal grandfather’s country – Springvale Station (southwest of the Warmun community). 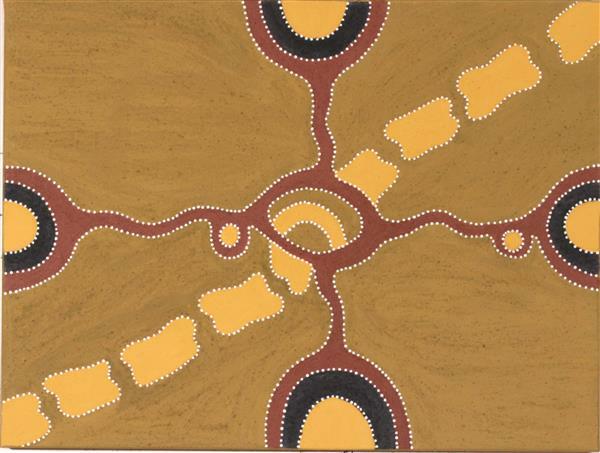 Marlene’s father was from Port Keats in the Northern Territory and she paints some of his country and Dreaming stories. 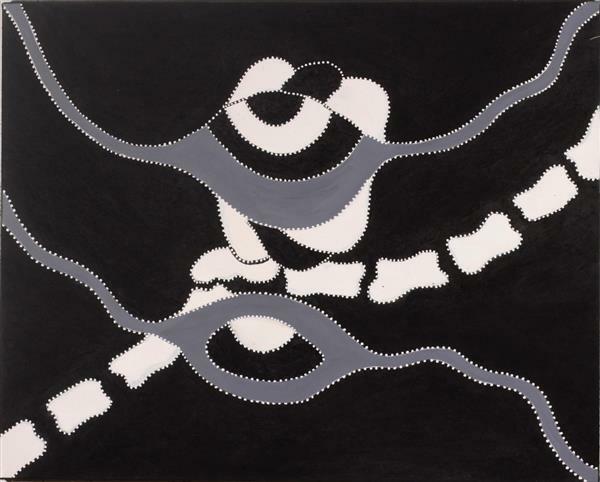 She has a strong knowledge of the Ngarranggarni (Dreaming) stories of her grandfather’s and mother’s country. This is because she has visited these important places with her mother and has been told the stories associated with her family’s country.